5-star general or five-star ranks were first established by the U.S. military in 1944. The 5-star rank was created during World War II in order to address American generals that were in command above allied officers yet had a lower rank. There were seven 5-star appointments in 1944, another in 1950, General Omar Bradley, and then one posthumous appointment (General George Washington) in 1776. Is There Six Star General? General of the Armies (GAS) is informally considered to be a six-star rank (note the plural use of “armies”). There have been two General of the Armies. In 1919, General John J. Pershing was promoted to General of the Armies, a rank especially created for him. He is not listed as a five-star general because at the time a 5-star rank did not exist and he wore four gold stars. In 1976, George Washington was posthumously promoted to this rank as well as part of the U.S. Bicentennial. 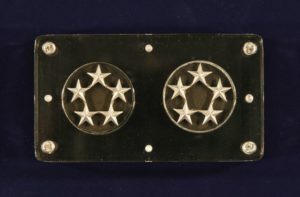 Washington received this rank in order to rectify that he had become outranked by four-and five-star ranks that were created in future wars. The appointment stated he was to have “rank and precedence over all other grades of the Army, past or present”. Is There Seven Star General? No, Five Star General is the highest rank in the U.S. military. Who was the last 5 star General? General of the Army Omar Bradley was the last general to achieve 5 stars and the 5-stars were retired in 1981 upon his death. For a short time there was a push to make General Petraeus a 5-star general, the first in more than 50 years. That sentiment appears to have dissipated now that he has retired and has not been without controversy since. 5-star generals never retire and continue to draw full active duty pay for life. What are each general stars Called? A 1 star general is known as a Brigadier General. A 2 star general is known as a Major General. A 3 star general is known as a Lieutenant General. A 4 star general is known as a General. A 5 star general is known as a General of the Army or Air Force or Fleet Admiral for the Navy. A 6 star general is known as the General of the Armies. A 5-star general would not have existed in the Shape of Water which takes place in 1962. In the movie The Shape of Water there is a 5-star General played by Nick Searcy, who is in charge of the Baltimore government research facility. However, the last 5-star general was Omar Bradley who was retired by 1962 and since the U.S. military has only used 5-star generals during times of war there would have been no 5-star general at that time.